Montgomery County, which contains the cities of Tyro, Caney, Havana, Cherryvale, Coffeyville, Dearing, Independence, Liberty and Elk City, was named for General Richard Montgomery who was killed at the Battle of Quebec. Louis Scott; Frank Buner; L. T. Stephenson; R. S. Parkhurst; E. E. Wilson; Fred Bunker; W.O. Sylvester; Paddy Gillula; and George Reed organized it on June 3, 1869. The discovery of oil and gas in 1890 was the most significant long range event in the county's history. 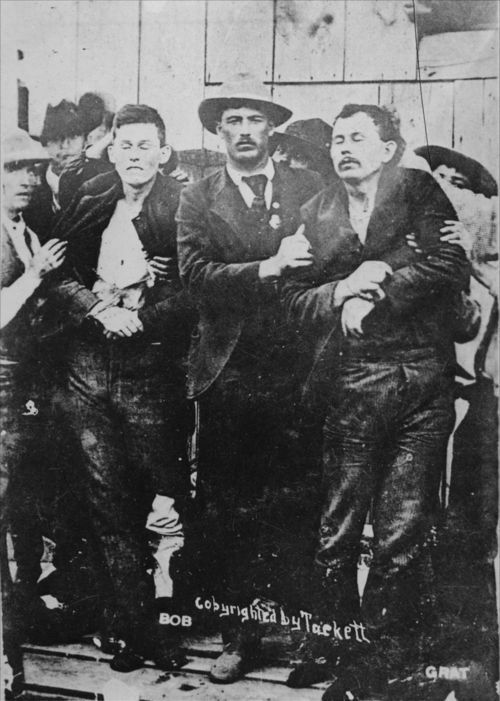 The Dalton Raid on the Coffeyville banks in 1892, and the subsequent defense of the town from the robbery by the citizenry, is significant for citizens defending their right to law and order. The first ch urch was the St. Stanislaus Catholic Church at Morgantown established in March, 1870. A county 4-H fair is held annually but the date of the first fair is unknown. The first school district was organized in Coffeyville on March 27, 1870. Interesting public figures include Lyman Humphry, Governor of Kansas, 1889-1893, Alfred Landon, Governor, 1933-1937, and presidential candidate, 1936, Harry Sinclair, oil tycoon, were all natives or lived in the county, and Congressmen from the county were Harold McGugin (1931-1935); Herbert Meyer (1947-1950); Denver Hargis (1959-1961); and Walter McVey (1961-1963). William Inge, native Kansas playwright, has written several stories based on Kansas including Picnic, which uses the Neewollah celebration as one of its settings, and possibly The Dark at the Top of the Stairs, was set in either Independence or Coffeyville. Interesting sites in the county are the Brown Mansion, the Harry Sinclair House, the William Inge House and the Alfred Landon House. For more information see the Montgomery County website. An extensive bibliography is available from the Montgomery County Historical Society and Independence Junior College. Available sources in the county include complete census records and county newspapers.